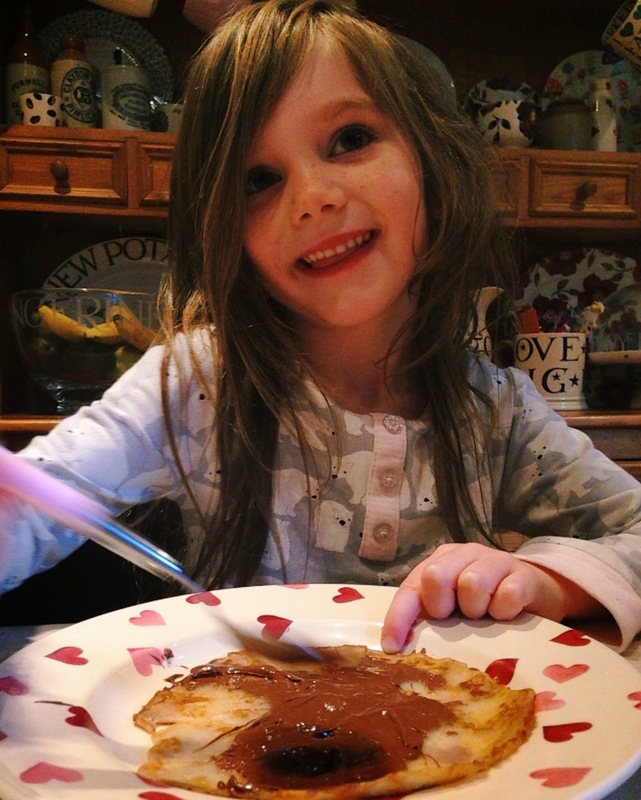 As part of our ongoing partnership with Lactofree, this week we were sent a few bits and pieces for Pancake day and challenged to create some American pancakes. Now I personally am not a fan of the slightly thicker, fluffier American style pancakes so I rebelled and made the thinner, more crêpey style pancakes that us English folk know and love. 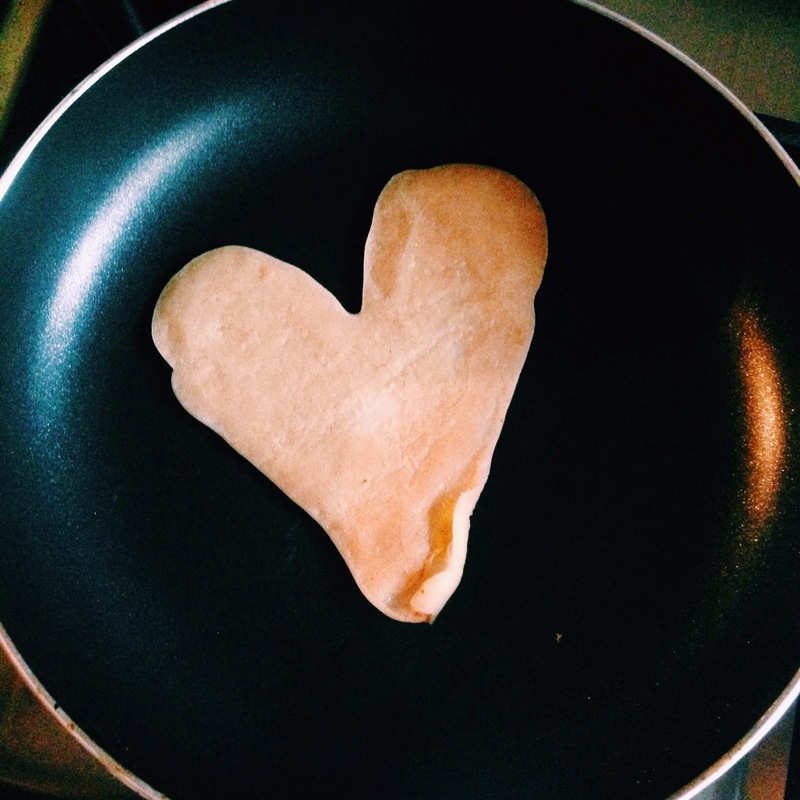 I really don't know why but we only ever have Pancakes on Shrove Tuesday and I think a lot of people are the same. Its like brussel sprouts and turkey - I love them but only ever have them once a year on Christmas Day. Why is that? So we don't risk OD-ing throughout the year and not enjoying them as much on special occasions? Pancakes are so easy to make and, depending on the fillings and amount of butter you use, they are pretty good for you too. So the girls and I have decided we are going to have pancakes more often from now on. 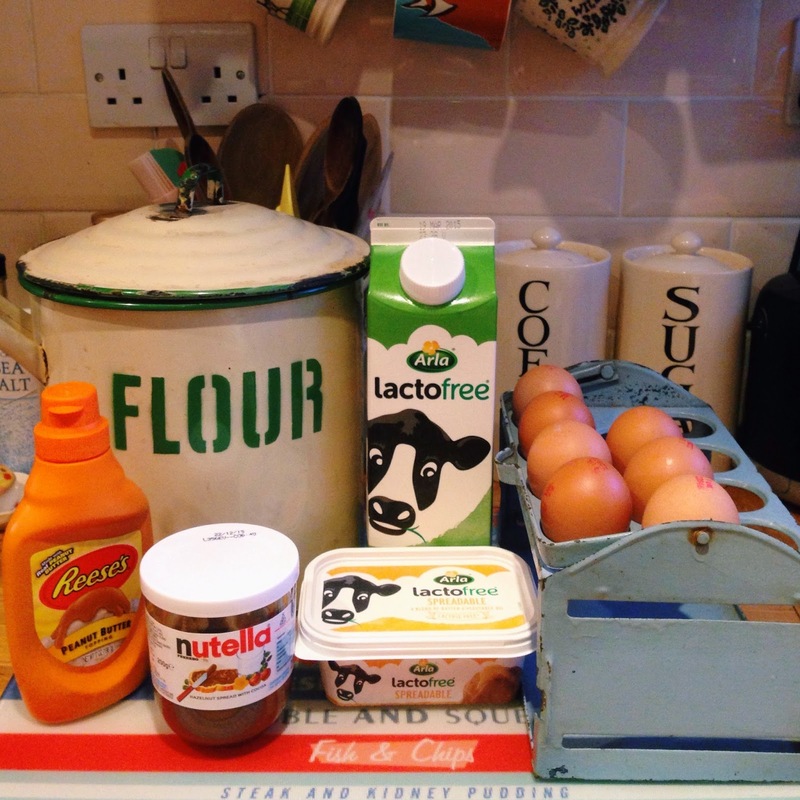 To make our Lactofree recipe, we just adapted this really basic one from Delia Online, substituting the milk and butter for the Lactofree varieties. I have a batter dispenser (from OXO) which might sound like the dullest and most unnecessary kitchen utensil but it really does make a difference when making regular pancakes. My top tip is to make them smaller than the frying pan i.e. don't let the batter expand out to the sides - then they're really hard to flip! Keep them small and just eat more of them! We had squeezy Reeces, nutella and banana, and good ole sugar and lemon, all for breakfast. And they filled us up for pretty much all of the day! PS Have you seen those videos doing the rounds on social media, where people create the most amazing character pancakes? Yeah I totally didn't* attempt that myself and epically fail. Made some yesterday and this morning with yummy maple syrup and now I'm feeling guilty because I was try to lose all the baby weight finally and was making good progress. 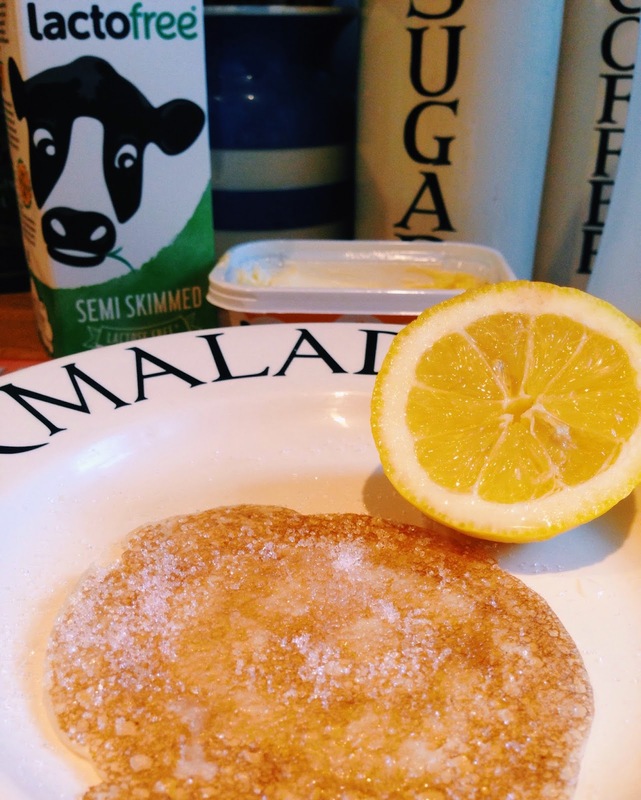 Ah well, pancakes are yum so will start again next week! And I only use lacto free as I've always struggled with stomach pains and bloatedness after creamy or milky food. I've even tried the yoghurt and cheeses though I think for the cheese a stronger strength is better if buying from the lacto free range.